9780789758170 | 3 edition (Que Pub, December 26, 2016), cover price $24.99 | About this edition: Easy, clear, readable, and focused on what you want to do. 9780789755483 | 2 edition (Que Pub, November 21, 2015), cover price $24.99 | About this edition: Covers iOS 9 on iPhone 6s/6s Plus, 6/6Plus, 5S/5C, 5, and 4S March 21, 2016 Update: A new iPhone SE was announced today by Apple. 9780789757890 | 10th edition (Que Pub, December 26, 2016), cover price $24.99 | About this edition: Step-by-step instructions with callouts to iPhone images that show you exactly what to do. 9780789755391 | 9 edition (Que Pub, November 6, 2015), cover price $24.99 | About this edition: COVERS iOS 9 for iPhone 4s, 5, 5c, 5s, 6, 6 Plus, 6s, and 6s Plus March 21, 2016 Update: A new iPhone SE was announced today by Apple. 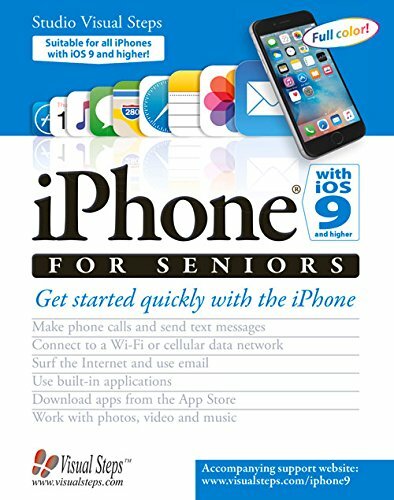 9780789750440 | 7 edition (Que Pub, October 30, 2013), cover price $24.99 | About this edition: Provides information, tips, tricks, and troubleshooting for iPhone 4, 4S, 5, 5C, and 5S using the iOS operating system. 9780789738233 | 2 edition (Que Pub, October 16, 2008), cover price $24.99 | About this edition: My iPhone, Second Edition Step-by-step instructions with callouts to iPhone photos so that you can see exactly what to do. 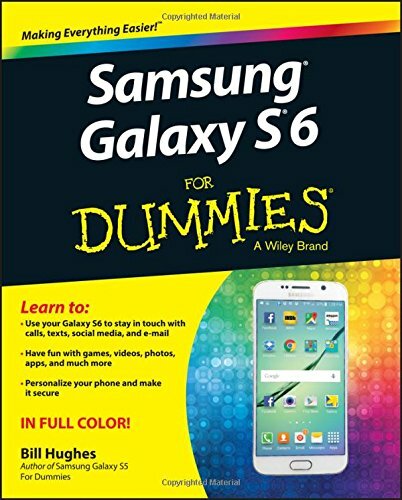 9781119283843 | 2 edition (For Dummies, November 21, 2016), cover price $24.99 | About this edition: Welcome to the Galaxy This book is for people who want to get the most from the latest in tablet technology. 9781118772942 | For Dummies, December 31, 2013, cover price $24.99 | About this edition: A colorful, entertaining, and informative guide to the Samsung Galaxy family of tablets Samsung's bestselling Galaxy Tabs may come in multiple sizes, but they all share the wildly popular Android operating system and are packed with tons of top-notch tablet features. 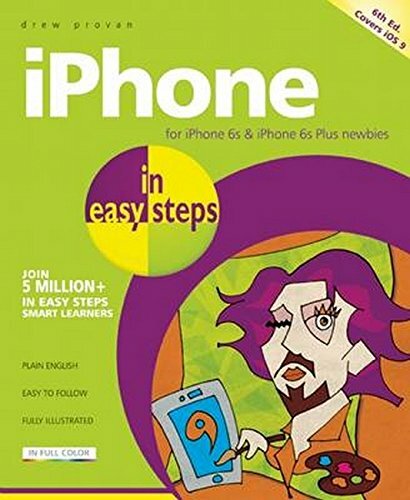 9781840787078 | 6 edition (In Easy Steps Ltd, February 9, 2016), cover price $14.99 | About this edition: In full-color and straightforward, jargon-free language, the sixth edition of iPhone in easy steps gives you all the information you need to get up and running with your new iPhone, so you will quickly feel you are in control of it. 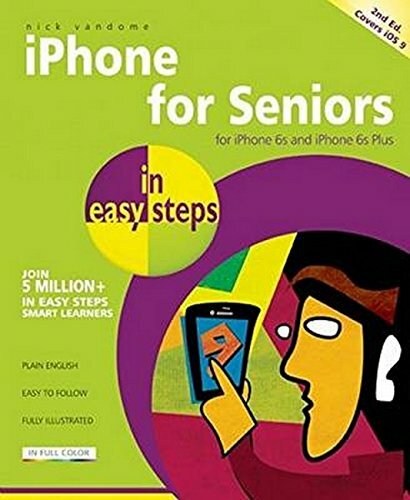 9781840786934 | 2 edition (In Easy Steps Ltd, December 22, 2015), cover price $14.99 | About this edition: In full colour and straightforward, jargon-free language, iPhone for Seniors in easy steps, 2nd edition gives you all the information you need to get up and running with your new iPhone and quickly feel you are in control of it. 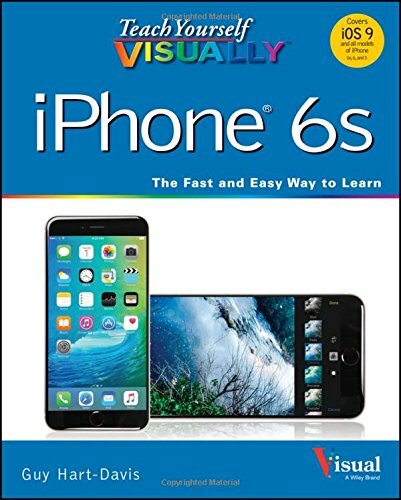 9789059056916 | Visual Steps B V, December 1, 2015, cover price $24.95 | About this edition: The latest book on the iPhone in the popular Computer Books for Seniors series, with more than 300,000 copies soldThe iPhone is a complete, fully functional multimedia device. 9780521401906, titled "Chiefdoms: Power Economy and Ideology" | Cambridge Univ Pr, October 1, 1991, cover price $83.99 | also contains Chiefdoms: Power Economy and Ideology | About this edition: The study of chiefdoms has moved from a preoccupation with their formal characteristics to a concern with their dynamics as political institutions. 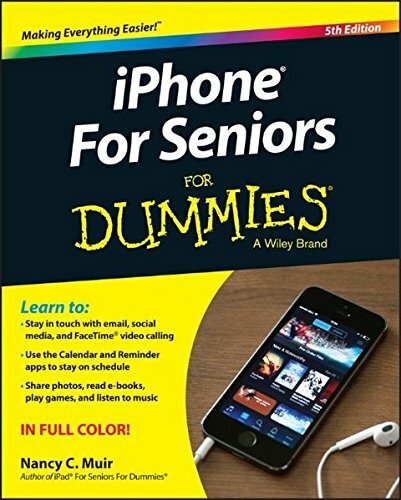 9781119137764 | 5th edition (For Dummies, November 16, 2015), cover price $24.99 | About this edition: iPhone For Seniors For Dummies, 5th Edition (9781119137764) is now being published as iPhone For Seniors For Dummies, 5th Edition (9781119293484). 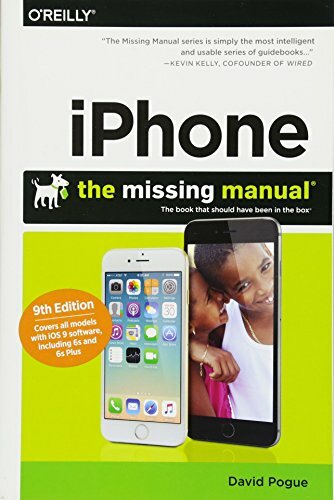 9781118692905 | 3 edition (For Dummies, October 28, 2013), cover price $24.99 | About this edition: The fun and friendly full-color guide to finding your way around your iPhone Everywhere you look it seems like someone is using an iPhone. 9780470878705 | 4th edition (For Dummies, August 16, 2010), cover price $24.99 | About this edition: The full-color guide to getting the most out of your iPhone Completely updated and revised throughout, this full-color guide covers Apple's new iPhone and iOS 4. 9780470581940 | Special edition (For Dummies, November 9, 2009), cover price $29.99 | About this edition: iPhone® for Dummies Special Edition Learn to: Set up your iPhone, send and receive e-mail, and browse the Internet Shoot great videos and take and share photos Use GPS maps, listen to music, and download your favorite apps IN FULL COLOR! 9780470536988 | 3 edition (For Dummies, August 3, 2009), cover price $21.99 | About this edition: A full-color guide to the iPhone, including the new iPhone 3G S With its new 3G S model, the iPhone is definitely the must-have mobile device. 9780470423424 | 2 edition (For Dummies, October 14, 2008), cover price $21.99 | About this edition: The iPhone 3G is here! 9780470174692 | For Dummies, September 26, 2007, cover price $21.99 | About this edition: Explains how to use the portable electronic device to make and receive phone calls, set up iTunes and the iPod, take and organize photographs, send and receive e-mail and instant messages, browse the Internet, and play podcasts, music, video, and photograph slideshows. 9781491947142 | 8 edition (Oreilly & Associates Inc, November 27, 2014), cover price $24.99 | About this edition: With the iOS 8. 9781449362232 | 7 edition (Oreilly & Associates Inc, November 7, 2013), cover price $24.99 | About this edition: Answers found here! 9781449316488 | 6 edition (Oreilly & Associates Inc, November 8, 2012), cover price $24.99 | About this edition: With the iOS 6 software and the new iPhone 5, Apple has two world-class hits on its hands. 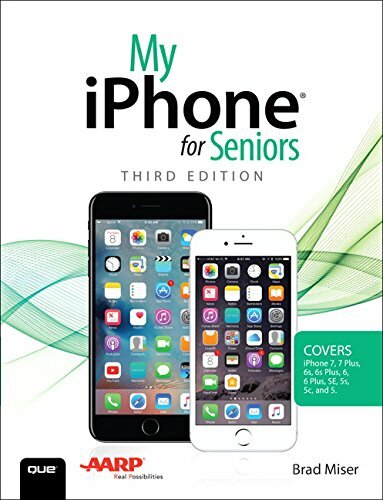 9781449301774 | 5th edition (Pogue Pr, December 29, 2011), cover price $24.99 | About this edition: With the iOS5 software and the new iPhone 4S device, Apple has another world-class hit on its hands. 9780596521677 | 2 edition (Pogue Pr, August 1, 2008), cover price $24.99 | About this edition: The new iPhone 3G is here, and New York Times tech columnist David Pogue is on top of it with a thoroughly updated edition of iPhone: The Missing Manual. 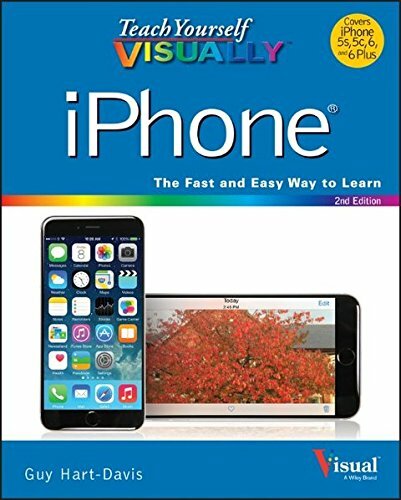 9781119173717 | Visual, October 19, 2015, cover price $24.99 | About this edition: A visual guide to the iPhone—now fully updated If you are a visual learner, Teach Yourself VISUALLY iPhone, 3rd Edition is the book for you with 500 full-color screenshots that clearly illustrate all the features your iPhone has to offer. 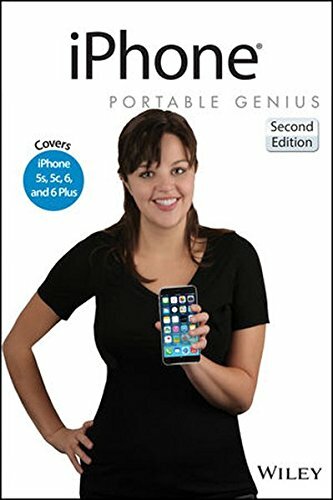 9781118932209 | 2 edition (John Wiley & Sons Inc, October 20, 2014), cover price $25.00 | About this edition: Learn how to get even more out of your iPhone 5s, 6, and 6 Plus iPhone Portable Genius, 2nd Edition is packed with practical advice and covers all the key features in clear, no-nonsense language accessible to those new to the iPhone family or iOS 8. 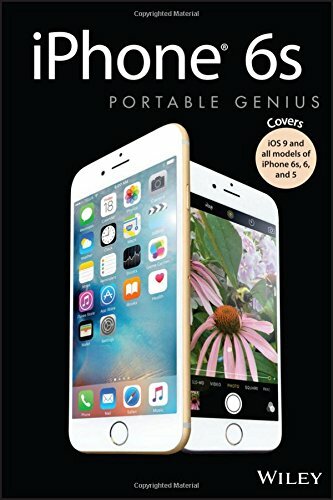 9781119173922, titled "iPhone 6s Portable Genius: Covers Ios 9 on Iphone 6s, Iphone 6, Iphone 5s, Iphone 5c, Iphone 5, and Iphone 4s" | John Wiley & Sons Inc, October 19, 2015, cover price $25.00 | About this edition: Take a bite out of all your iPhone has to offer As easy and intuitive as the iPhone is, it's more complex than most of us realize—and what's better than learning all the insider tips and tricks with the iPhone Portable Genius, 3rd Edition? Product Description: Provides step-by-step, illustrated instructions for a variety of iPhone tasks, covering such topics as using iCloud, Touch ID, and Siri; installing and updating apps; browsing the Web; playing music and videos; and troubleshooting. 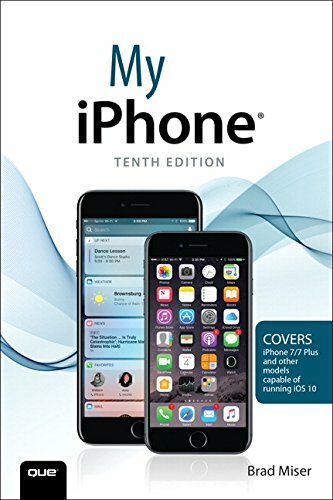 9781118932223 | 2 edition (Visual, November 3, 2014), cover price $24.99 | About this edition: Provides step-by-step, illustrated instructions for a variety of iPhone tasks, covering such topics as using iCloud, Touch ID, and Siri; installing and updating apps; browsing the Web; playing music and videos; and troubleshooting. 9780521250016, titled "Introduction to Programming With S-Algol" | Cambridge Univ Pr, January 1, 1983, cover price $16.95 | also contains Introduction to Programming With S-Algol | About this edition: Book by Cole, A. 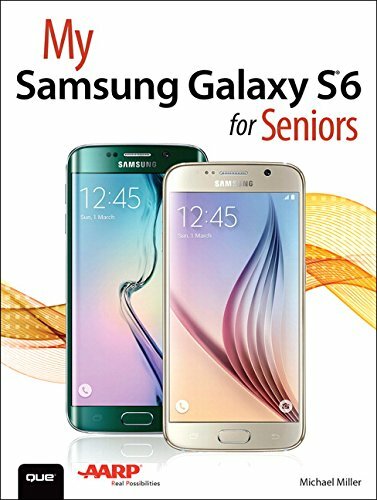 9780789755445 | Que Pub, August 9, 2015, cover price $24.99 | About this edition: The perfect book to help anyone 50+ learn the Samsung Galaxy S6 — in full color! 9780517141656, titled "50 Ways With Beef" | Crescent Books, July 1, 1995, cover price $9.99 | also contains 50 Ways With Beef | About this edition: 50 color illus. 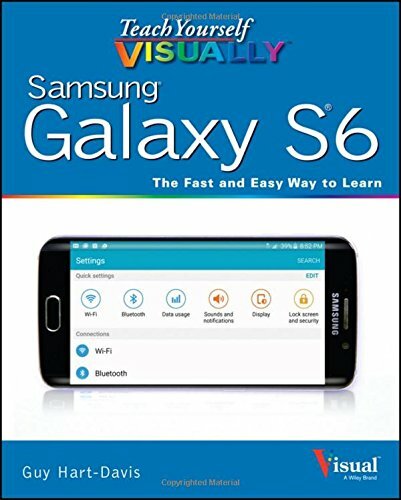 9781119113492 | Visual, August 17, 2015, cover price $29.99 | About this edition: Your visual guide to unlocking the full potential of the Samsung Galaxy Teach Yourself VISUALLY Samsung Galaxy is your step-by-step, visual guide to everything your new phone has to offer. 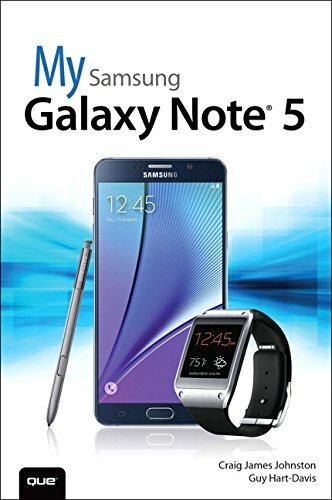 9781119116769 | 2 edition (Visual, July 7, 2015), cover price $29.99 | About this edition: Experience all your Android device has to offer! 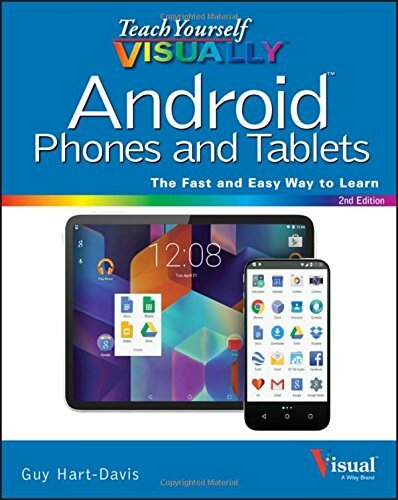 9781118646618 | Visual, June 17, 2013, cover price $29.99 | About this edition: The fast and easy way for visual learners to get up to speed on Android Packed with step-by-step, image-driven guidance, this must-have Visual book offers the latest tips for getting the most out of your Android devices that run on the most recent versions of the Android OS. 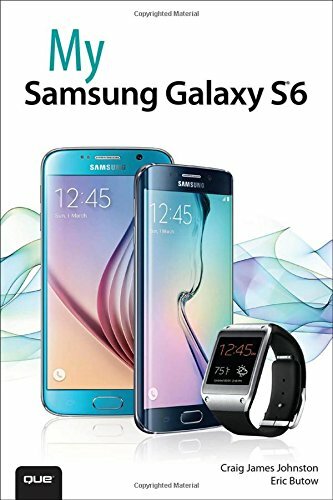 9781119120605 | For Dummies, June 15, 2015, cover price $24.99 | About this edition: Explore the capabilities of your Samsung Galaxy S 6 with this definitive guide! 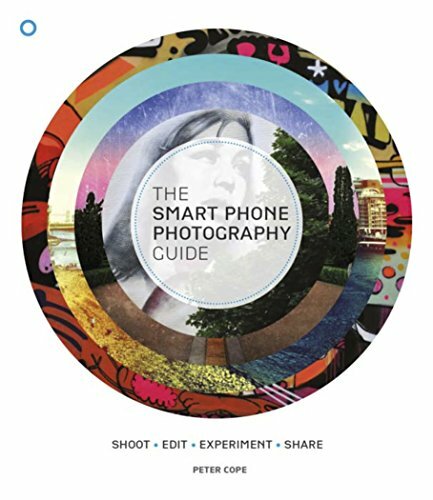 9781780975627 | Carlton Books Ltd, April 7, 2015, cover price $15.95 | About this edition: Thanks to our smartphones, we've all become camera-carrying photographers, able to snap a photo whenever and wherever we want. 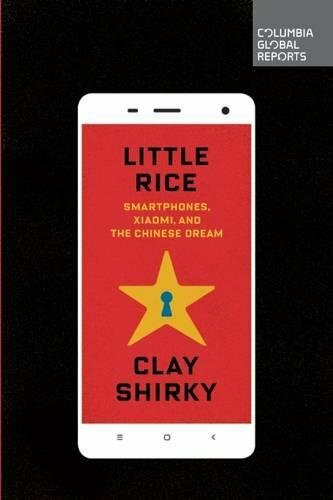 9780745685007 | Polity Pr, March 30, 2015, cover price $59.95 | About this edition: Smartphone adoption has surpassed 50% of the population in more than 15 countries, and there are now more than one million mobile applications people can download to their phones. 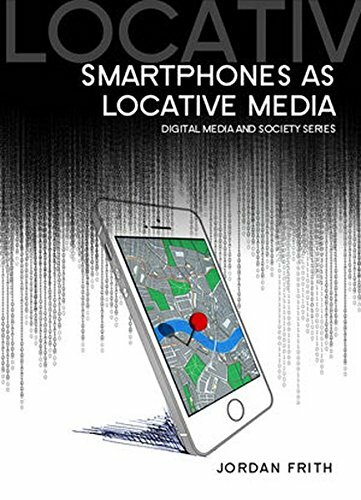 9780745685014 | Polity Pr, March 30, 2015, cover price $22.95 | About this edition: Smartphone adoption has surpassed 50% of the population in more than 15 countries, and there are now more than one million mobile applications people can download to their phones. 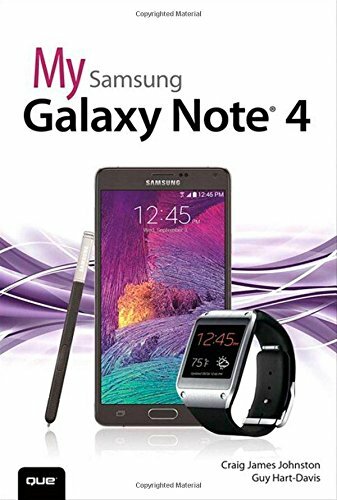 9780789754509 | Que Pub, April 11, 2015, cover price $24.99 | About this edition: My Samsung Galaxy Note 4 helps you quickly get started with your Note 4 and use its features to perform day-to-day activities from anywhere, any time. 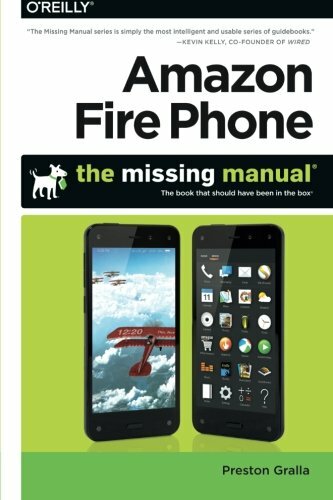 9781491911235 | Oreilly & Associates Inc, December 26, 2014, cover price $24.99 | About this edition: Unleash the powers of the Amazon Fire phone with help from technology guru Preston Gralla.